Strategy: We used a multi-pronged communications approach, securing a combination of paid media, organic press, and social activity for Tacori surrounding the pop up. We also wanted to create on-site moments in order to make sure we secured in person excitement and engagement as well as lasting value through press and influencer impressions. Tactics: Wetherly supported Tacori in planning, production, influencer outreach and advertising for the Pop-Up at the Grove. As a direct result, influencer engagement ensued, and with the added value of paid regional digital buys and strategic talent attendees, impressions garnered over 40 million. Wetherly secured a custom Love, Los Angeles mural done by Kasey Jones, Ink in order to drive social media as well as securing stylist Brad Goreski to attend to produce organic content.. The regional press on the pop up lead to long term press with a profile in Forbes on the brand and their strategy ahead. Objective: Wetherly was tasked with launching the Spring 16 collection of British footwear brand, Dear Frances, in the US. Strategy: With the brand’s unique approach to season-less footwear and accessible Ecommerce, Wetherly positioned Dear Frances as a thoughtful standout with quality, fashion-forward products. Tactics: Wetherly secured Vogue.com as the exclusive launch for Dear Frances in the US and felt the site was perfect to tell the brand’s story and introduce the collection. From there, interest became apparent with important editors, including the New York Times, who loved Dear Frances’s simplicity and style. Other publications such as The Observer, Glamour, Who What Wear, Refinery29 and W wrote about the brand’s continuous buzz and easy elegance, while celebrities and influencers alike began to wear gifted styles and tag the brand on social media. So far the launch has garnered over 120 million impressions and has since sold out of several shoes from the collection. Objective: Create fine jewelry and celebrity buzz in both digital and print publications to showcase the brand’s visibility and offerings. Strategy: Elevate the Anita Ko brand by placing top-tier celebrities in Anita Ko such as Olivia Munn, Hailey Baldwin and Emily Blunt, etc. to create the brand as a must have to editors, VIP’s and influencers. In addition to celebrity seeding, Wetherly is the AOR where they pitch and secure placements in Vogue, Harper’s Bazaar amongst others. Tactics: Secure digital and print editorials, paparazzi images, product placements and round-ups. Results: Anita Ko has been featured in various top-tier print publications such as VOGUE, ELLE, Harper’s Bazaar as well WhoWhatWear.com, ELLE.com, Forbes.com, and Coveteur.com online. Objective: Seasonally, BaubleBar introduces a top fashion tastemaker (“Guest Bartender”) who hand picks a 12-15 piece collection of jewelry to be sold on BaubleBar.com. Every Guest Bartender aims to open a new customer base and subscription list for BaubleBar. Strategy: Secure print and online press prior to collection launch as well as once the collection has gone live on BaubleBar.com. Tactics: BaubleBar supports each collection through their marketing channels including featured homepage placement, dedicated emails, social and bloggers network support, and robust PR and press coverage. BaubleBar customizes all specifics of the content format and styling so that the collection feels organic and authentic to each Bartender. With all participants in the program, BaubleBar works around each partner’s needs to make sure they achieve their goals from this partnership. Through our outreach Wetherly garnered millions of media impressions for the program. 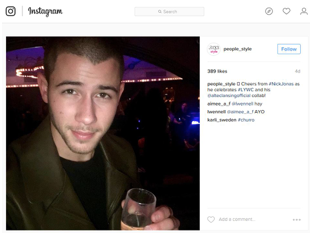 Past Guest Bartenders: The Coveteur, Harley Viera Newton, Ashley Madekwe, Blair Eadie, Courtney Kerr, Honestly WTF, Coco Rocha and Emma Roberts. Objective: Secure an A-list celebrity to wear the ASH brand during Coachella 2017. Strategy: Wetherly was tasked with finding the right celebrity to align with who embodied the ASH spirit and could also get substantial pickup in the press by wearing. Tactics: Wetherly used our direct relationship with Selena Gomez’s stylist to have him choose key SS17 styles as options for her to potentially wear to the festival. All shoes selected were gifted and included in Selena’s suitcases for final outfit options. Selena ended up wearing the ASH NICKY BIS white sneakers on two different occasions during Coachella; the images were used for press pitching and covered by major outlets including Vogue.com, HarpersBazaar.com, TeenVogue.com, InStyle.com, WhoWhatWear.com, TheHollywoodReporter.com, and many more. Through our outreach, Wetherly was able to garner almost 300 million media impressions for the brand so far. Objective: Position the brand’s spring 2017 novelty stripe styles as a fashion must-have. Strategy: Wetherly worked to establish 3x1’s stripe capsule as the buzzed-about range for the spring season amongst editors, social influencers, and VIPs. Tactics: Our team secured a select run of the stripe capsule on both coasts. Through gifting to a very tight target list as well as having a nice amount of samples on hand for styling lends and press requests, we actively pushed the pieces as unique new offerings and a top-selling range for the spring season. Objective: Put new label FRAME on the map within a saturated premium denim market, with a strong focus on media awareness and VIP relations. Strategy: Drive awareness and sales for new label FRAME developing and working through a clear PR and VIP strategy spanning luxury focused long lead, short lead print and digital media with a strong focus on getting the brand on the right VIPs and celebrities. Tactics: Wetherly built a strong launch plan, targeting key publications to roll out brand features timed to the collection hitting top retailers. In LA top product was selected seeded to a very select group of VIPs and monitored for placement. Utilizing our strong editorial and stylist relationships, Wetherly was able to secure brand features in top publications including ELLE, The New York Times, Style.com, Marie Claire, LA Times, and placements on target celebrities including Sienna Miller, Emma Watson, Amanda Seyfried, and Beyonce within the first six months of launch. Objective: In celebration of the 2018 Summer Swimwear collection, Calzedonia welcomed press, influencers and VIPs at the brand’s Headquarters in Verona, Italy. Wetherly was responsible for hosting US press and confirming coverage. Strategy: Wetherly approached targeted editors and publications on behalf of Calzedonia and invited them to Verona while also explaining coverage must be guaranteed in order to attend. Wetherly was able to secure representatives from Cosmopolitan, ELLE, EXTRA TV, and Forbes.com and saw coverage in all outlets. Tactics: Wetherly worked in tandem with Calzedonia to provide all attendees detailed itineraries for the trip and acted as an on-site guide while in Verona, making sure to take care of all of the editors needs. For coverage, Wetherly coordinated all editor interviews and saw them to fruition; following the trip, Wetherly sent all assets needed (i.e. imagery, footage, brand information) so the outlets were able to complete their coverage. Wetherly also pitched the fashion show and celebrity models and attendees to all relevant short lead media outlets to garner additional press hits. Objective: Wetherly executed the New York Fashion Week Presentation for fine jewelry designer, Alison Lou celebrating her upcoming collaboration of jewelry with branded play company, Hasbro for Holiday 2016. Strategy: Wetherly secured all sponsors in addition to managing all front-of-house activities including: invitation distribution, RSVP management, day-of guest and press check-in and event staffing. Tactics: Wetherly secured all pre-show and post-show press which included designer features in The Wall Street Journal and New York Magazine’s “The Cut” in addition to inclusion on major online outlets including, Fashionista, Harper’s Bazaar, JustJared, People, InStyle, among others resulting in over 580 million impression as of September 2016. 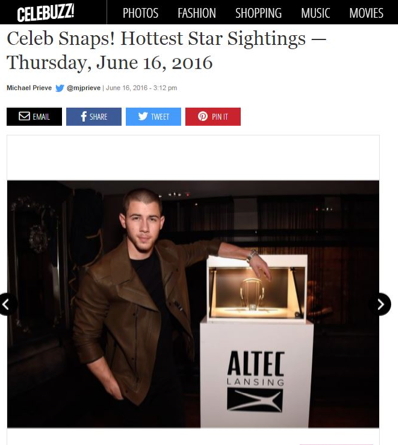 Objective: Wetherly was tasked with launching leading audio brand Altec Lansing’s collaboration with Nick Jonas; ultimately generating buzz around both the brand and product through traditional press coverage as well as social media. Strategy: Wetherly worked to secure target VIPs, key influencers, bloggers and press to attend the launch event where to collaboration product was displayed to create excitement in anticipation of the product being in stores. Wetherly secured relevant trade, national, regional, entertainment, tech, and online outlets to cover the launch party, including exclusive interviews between Nick Jonas and various press and bloggers. Tactics: Wetherly developed and executed a comprehensive press strategy that covered the launch party news. In addition, Wetherly secured VIPs, bloggers, influencers and target press to attend the event. 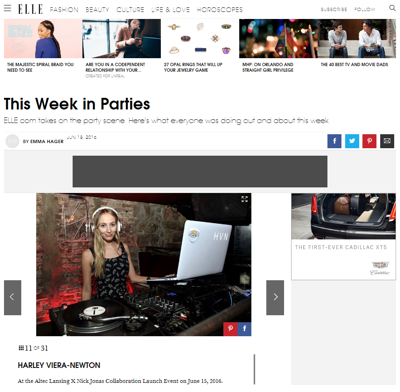 Outlets such as Elle.com, InStyle.com, License! 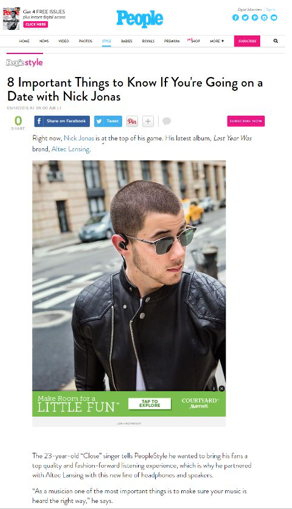 Global, People.com, TeenVogue.com, and Us Weekly wrote about the Altec Lansing x Nick Jonas collaboration; the event garnered over 330 million impressions. Objective: Create a cool VIP event to celebrate The Kooples x Emrata capsule collection and generate buzz on the west coast during the holiday season, following the initial collection drop. Strategy: Wetherly was tasked with managing VIP and influencer wrangling, aiding in guest list outreach, and providing on-site PR support and production. Our team worked in tandem with The Kooples to create a fluid event with a reputable crowd that would draw attention and create a new “moment” for the collaboration. Tactics: Wetherly helped confirm interesting influencers with creative social platforms along with key VIPs and west coast-based editors, and provided dressing and transportation to further incentivize. We also worked with The Kooples to create a social post-enticing atmosphere that was both festive and intimate. Objective: Create brand awareness and immediate buzz for new sunglass label Westward Leaning. Strategy: Wetherly utilized the approaching Summer season for immediate writer and editor outreach, as well as key celebrity seedings in order to spread the word about the new collection. Tactics: Wetherly invited target media including key long lead, short lead/regional, and online contacts to preview the launch collection in the Wetherly showroom and followed up with appropriate info, samples and imagery in order to garner immediate attention surrounding the launch. Wetherly also sent beautifully packaged gifts to celebrities, stylists, and publicists for key clients for Summer. Wetherly followed up with a second round of VIP gifting during a Summer event in the LA showroom and to date has secured several A-list celebrity placements including Natalie Portman, Jessica Alba, and Kate Bosworth. Objective: Generate brand awareness on Sam Edelman’s new denim launch while creating sales of the product on Nordstrom.com. Strategy: Wetherly sought to maximize exposure of the new Sam Edelman denim line by using on-brand and top tier influencers to push the launch through their Instagram. Wetherly hand-picked influencers with high followings and have converted many sales with Nordstrom in the past in order to meets objectives. Tactics: Wetherly chose four influencers that have converted sales well for Nordstrom in the past. 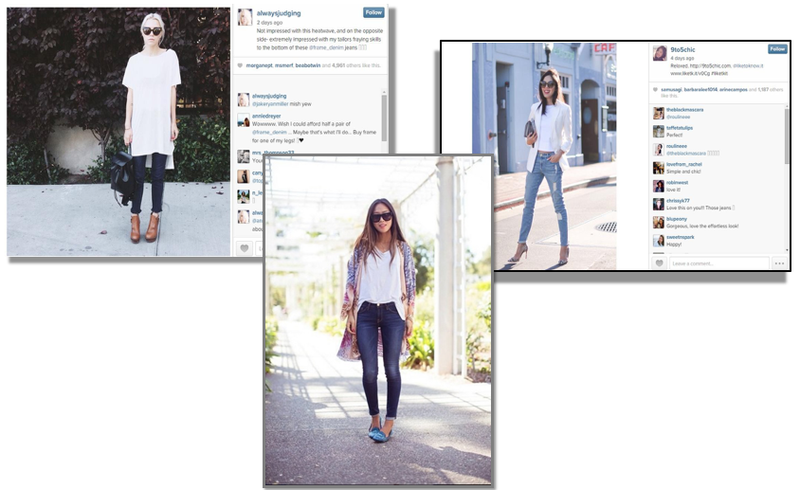 These influencers include HelloFashion, Pink Peonies, Southern Curls & Pearls and Styled Snapshots. 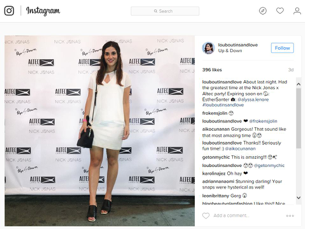 Wetherly tasked each influencer to create content surrounding a pair of Sam Edelman denim and use RewardStyle’s LinktoKnow.It to post their content on Instagram. Results: 17,873 clicks to Nordstrom and 724 sales with a conversion rate of 4.05%. The brand received over 2M impressions from the posts. Strategy / Tactics: Wetherly worked with Kenneth Cole to secure an ample assortment of the women’s sneaker in a variety of colors and sizes. Through gifting to an ongoing, targeted VIP list as well as seeding to stylists and publicists during key showroom appointments, we actively pushed the style as a wardrobe staple. Kendall Jenner has worn and been photographed wearing her Kam sneakers 12 times in the past 6 months, and has driven tremendous press support for the brand and specific style. Objective: Position Solid & Striped as the swimsuit brand for the hot seasonal months. Strategy: Wetherly worked to establish Solid & Striped as the must-have, high fashion swimsuit brand amongst editors, influencers and VIPS. Tactics: Our team secured thoughtful and buzz-worthy vacation, paparazzi and social placements through strategic widespread seeding. Product was funneled both directly to these targets as well as through their stylists and management, who would feed Wetherly updates regarding who might be taking a trip or in need of new swimwear.